Thanksgiving is a few short weeks away! I can’t believe how fast this year has flown by. Hosting a Thanksgiving feast can add up really quickly. I have some simple ways to save on your Thanksgiving meal. If you are looking for simple ways to save some money, these tips might help you stretch your money. Create a menu and ask your guest to bring a dish. That way they can see what you are making as well as everyone else and picks a dish to compliment. This is a simple way everyone can help contribute to the meal and take stress off the host. When you have a list of what people are bringing you don’t have to guess what else you need to make. If you find you are having trouble sleeping, you might be doing some things wrong before bed. Check out this list of things not to do before bed. Not getting enough sleep or quality sleep each night is exhausting, it not only makes us tired but we can’t be our best when we are exhausted. Here is a list of things not to do before bed, to ensure you get the best quality sleep you can. Not getting that adequate sleep each night can lead to foggy thinking, mistakes while working, and accidents during your day. Before you crawl into your comfy bed, make sure that you are not following these habits. When the temperatures begin to drop and the sun goes down earlier, you know Winter is upon us. Winter can be long and very chilly depending on where you live. 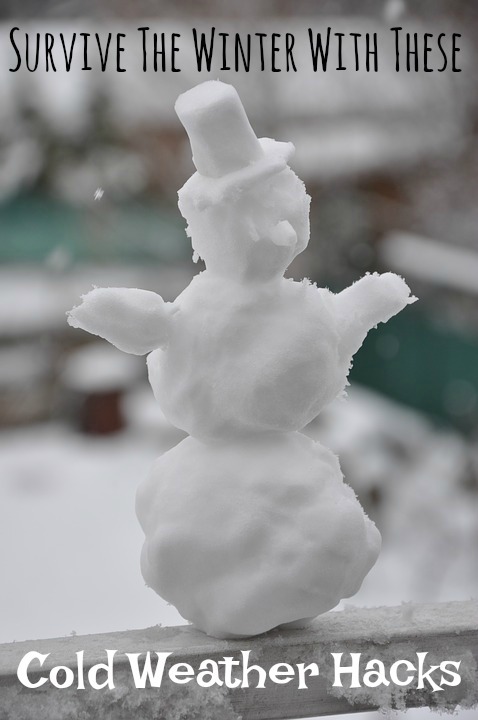 Below I am going to share some awesome cold weather hacks to help you survive this winter. These hacks will help keep you warm, save you money and much more. To eliminate any unwanted drafts in windows, buy window insulation kits. They are a film you apply to your windows, and it can save you around $15-$18 per window for the winter. It helps keep those winter drafts from blowing in. If you have ceiling fans, turn them so they run clockwise. This will take the warm air that rises to the ceiling and pushes it down to you. If you put your hand at the bottom of your door and find a cool breeze flowing in, roll up a towel and place it at the bottom of the door. It will help block the cold air from getting indoors. I wanted to share some tips on how to make sure you get a good nights sleep. I know it’s not easy for a lot of us, but it definitely can be done. Regardless of your sleep pattern now, I want to share some ways to really help make sure that when you go to sleep you can sleep more soundly and get a good nights sleep. He’s the boy that made me a mom and is one of my two main reasons for living. I almost can’t believe that he’s THIRTEEN now. 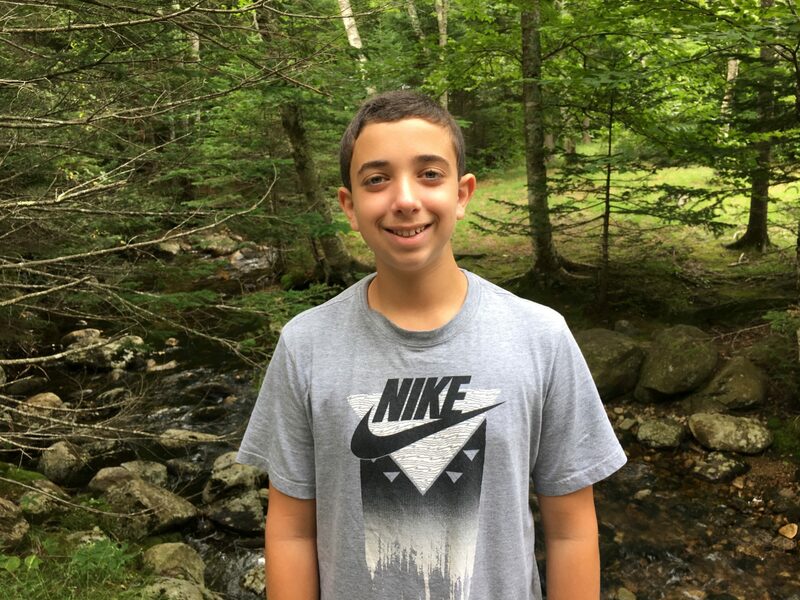 Omg you guys – I am the mother of a teenager. How did that happen? I don’t want to embarrass him too much, but I’m going to share a story with you. About a year ago or so, he came off the bus from school and I was waiting at the door to greet him (like always). I wait for him inside the door of course because god forbid his friends on the bus see me outside anxiously waiting for him to come home. Anyhow, like I always do, I went to give him a big hug and kiss the second he walked in the door. Except this day was different. My sweet, sweet little boy almost killed me with the stench that immediately filled the room when he lifted his arms. My god, I almost passed out. I actually I did fall to the floor and pretend to faint because I figured that it would be less humiliating for him if I made light of it at first. School nowadays is fast paced, and you might find your tween boys come home with piles of homework! Well below are some great apps that are a great way to get organized and keep track of all the homework assignments! These homework apps for tween boys will make the school year run a lot more smoother when they utilize these apps! They are parent approved apps, if you are concerned! These apps can help keep their homework in order, use a calculator to help with math, create flash cards to study and more. I love each of these apps, they are great for students to have easy access to making learning and organization easier this school year! Summer is around the corner and with that comes summer break! Summer break can be a blast if you have things for your kid to do, or else you might be consumed with hearing, I am bored twenty times a day! 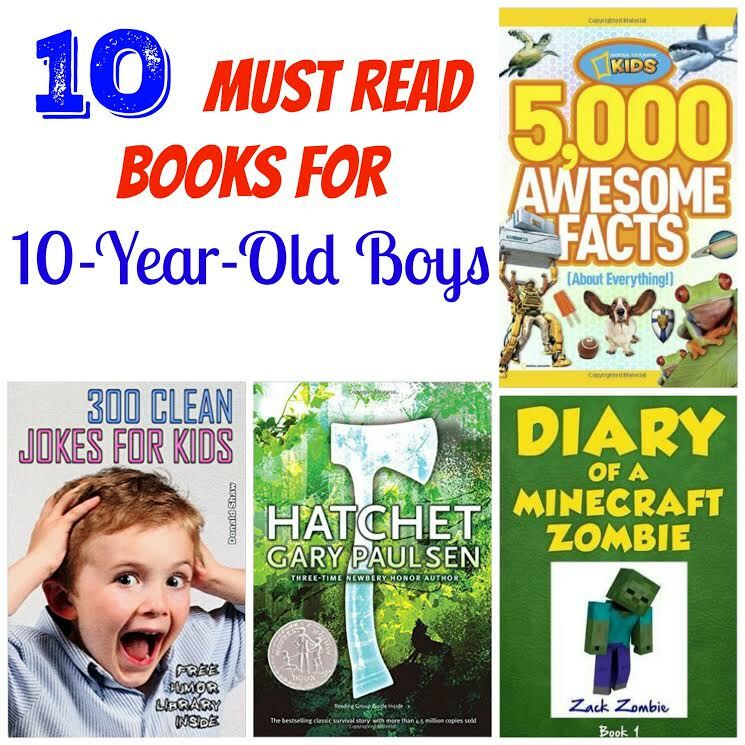 So I wanted to share 10 books for 10-year-old boys! These books listed below are fit for their age group and can keep them interested and let their imagination take off! If you have a ten-year-old boy who likes to read, consider buying these or seeing if your local library has these to check out! Hatchet: I had to read this when I was in school, and it is amazing! It is a survival story of a boy who gets stranded on an island and has to survive! It is such a great book, highly recommend. Summer is here, and with that means days spent at the swimming pool or beach, and spending more time outside in general! If you are like me, you might have experienced a few nasty sunburns over the years, that were less than pleasant! I have curated a list of ways to treat a sunburn and get relief from the pain that comes with it! Sunburns can happen to anyone, no matter how careful you are. I do recommend following the instructions on the back of your sunscreen as to how often to apply. It is important to protect your skin from those harmful UV rays. The misconception is you can’t tan when you are wearing sunscreen. That is totally false, wearing sunscreen protects your skin from the harmful UV rays, it still allows you to tan. So don’t skip that sunscreen because you think it won’t let you get a little darker this summer. Sometimes if you get burned really bad, it is recommended to go in and be seen by a doctor. If you feel nauseous, have a fever, or experience chills it might be for the better to go get seen. Also if you develop blisters on more than 20% of your body! A long, nice car trip with your kids and your spouse is definitely one of the most beautiful experiences that a person can experience. However, it’s very important that you know how to adequately prepare for it, or your trip can quickly turn into a nightmare – and I’m sure that none of you want that. There are two things that generally tend to be most important on a trip like this – keeping your kids happy, and making sure that road safety is at its absolute maximum. Today, I want to talk about some specific things that you should definitely do before any serious road trip with your family, so without further ado, here they are. If you live in a state where the summer heat can really wear on you, then check out these simple tips to try and help you stay cool. It is so hard when it is 100 degrees or hotter outside or high humidity, it makes you want to hide inside where the ac is. Our bodies can easily become overheated, especially in young children and the elderly. I don’t know if you have ever got overheated, but it can make you feel pretty sick and wore down. So here are some simple tricks to trying to survive the extreme summer heat. Heat Stroke is very serious so make sure you are aware of the signs. Below are some of the signs of heat stroke. If you feel any of these symptoms start make sure to go to your doctor or emergency room. 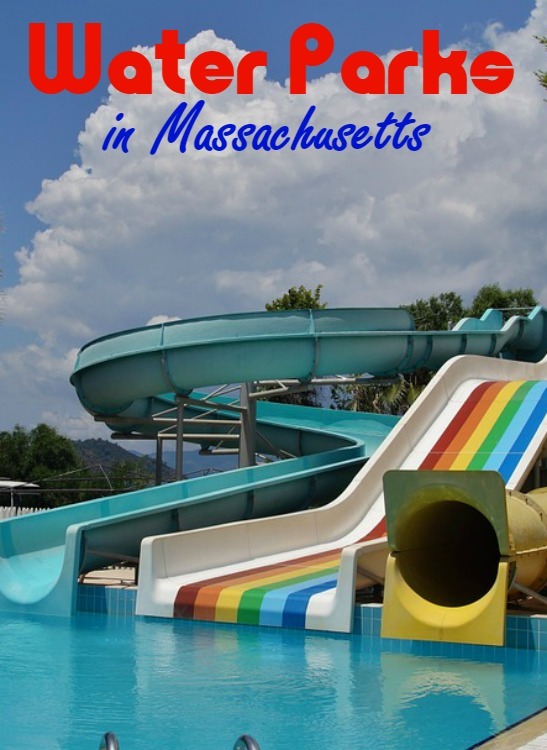 If you are wanting to stop by one of the most popular water parks in Massachusetts (or southern New Hampshire this season), then check out this list below! This is a list of the top places you will want to add to your travels this summer! No matter which park you pick, I am sure you and your family will have lots of fun! Enjoy inflatable rides, lazy rivers, wave pools, and amusement rides and more. This is a great way to find fun things to do near you, or plan a trip for you and your family. Beat the summer heat this year at one of these fun water parks or amusement parks listed below. Make this summer filled with fun memories. Water Wizz (Wareham, MA): Southern New England’s largest water park! Mussel Beach is a huge wave pool that is very popular. If you like to live on the edge try the Squid Row, it’s a tube ride, with high speeds. Or if you want to go with little kids, they do have a family pool area as well. Thrilling slides, tubes and cabanas to relax in, this water park has something for everyone. Struggling to find ways to connect to your older kid? If so, below are very simple and easy ways to make effort to connect with your child. They grow so fast, and before you know it they will be off to college! It is so important that you get in time to connect with your kid when you can! No matter what your child’s age is, they still crave love and attention. So that is the main thing, just make time for them, listen if they want to talk and be there! The best way to raise a child is with love! Below are easy ways to connect to your older kid, ages 8-12. If they are being quiet: If you see they are being extra quiet, try to get them to talk. Ask them about something you know they are interested in. Maybe a video game, movie that they love, or something else. Showing you care and trying to help them if they are having a rough time, without coming right out and asking can help them a lot. The hot weather has arrived and with that comes all kinds of worries: sunburn and dehydration top my list. Despite being of mostly Italian descent, I am a pale gal and I burn to a crisp. But that is a story for another day. We all hear every summer that we need to stay hydrated (and being a nurse, I am constantly pushing fluids on people and educating them on the importance of it), but do you know what dehydration looks and feels like? I consider myself somewhat of an expert on dehydration and rehydration (the rehydration part is generally not fun for you if you’re seeing me for it at work). That was until my son, who was 9 or 10 at the time, came out to me one night at about 9 PM crying and telling me that he had the worst headache he had ever had in his life. He’s not a kid who complains, so I knew it must be serious. And being a nurse, I just wanted to make it go away so I gave him Tylenol. That didn’t touch it. I had no idea what else to do; he was literally grabbing his head and crying. I paged his pediatrician who, knowing my son’s lengthy medical history, sent us on our way to the ER. The ER is a nightmare, as you all know. Grilling out is a great way to enjoy food, and saves your house from getting to hot while running the oven in the summer. Plus, who doesn’t love sitting out and enjoy the cool summer day, while you grill up some tasty food? Nothing beats a steak or hamburger on the grill, it just adds so much flavor to the meat, it can’t be beat! Below are some cook out hacks to try out this summer! These hacks will change your cooking out experience for sure, and make it even more fun grilling! So kick back, grab a glass of lemonade or sweet tea, and keep reading to find out all the hacks you need to know for grilling! Muffin Tray for Condiments: If you are having people over, consider putting condiments in muffin tins. Tomatoes, onions, ketchup, mayo, mustard, pickles and anything else. Then just place plastic spoons in each tin and let people use that to apply condiments to bread. Home Depot Money Saving Hacks you Need to Know About! If you are planning to tackle a home project, make sure to utilize these Home Depot hacks to make sure you never pay full price on items again! These hacks are a great way to get the most out of your money and make sure you are getting the best deals possible. From price matching, saving money on clearance lumber, and so much more! This is really a great way to cut corners on expenses and still create the project you are wanting. Price Match Guarantee: Make sure to check your competitor stores in your area, if you find a price cheaper, Home Depot will price match. But to make it even sweeter, they will give you an extra 10% off on the item! Just bring in the flyer to show them the price. Join Newsletter: Make sure to sign up for their newsletter, new members get a $5 off coupon! Plus you can get emails on special sales available and sometimes extra discounts. Rebate Center: Make sure to check out their online rebate center. You can save quite a bit of money on their larger items most of the time! Clearance Lumber: Okay, this one is awesome. You can get a discount on leftover lumber, up to 80% off. So make sure to check out the clearance wood. They will be different sizes and such, but you can always find some way to use it! They mark the clearance wood with purple paint. Did you just get an Instant Pot for a holiday gift or birthday present and have no idea what is next? Maybe you read the manual and the *beginner’s guide* (link to the first article!). Now, you’re ready to start cooking! Before you get started, there are a few things I want you to know. You can cook healthier foods with your Instant Pot from simple entrees to gourmet dishes. I also want to show you that you can use your Instant Pot daily which can make it one of the most valuable appliances in your kitchen. Easy does it. If you’re a beginner, start off easy. Skip long or heavy recipes until you get the hang of it. With simple recipes with few ingredients, you can learn how to make adjustments and discover how the Instant Pot works. You will learn how your food cooks and what you might need to read up on to truly master your Instant Pot. Try rice to learn the rice cooker setting and shredded meat to learn how to make your meat flavorful. When I go to the beach I stay for the whole day and what better way to pass the time than to read while I’m there. Often times I can bang out an entire book in one day and I usually start planning my summer reading list around this time every year. My tastes vary, so there are many genres of books on my list each year, but sometimes I just want to immerse myself in book where I can just escape and block out the rest of the world. When I want that escape, there’s nothing better than a romance novel. Have you thought about organizing your kitchen cabinets lately? I opened one of mine yesterday and a bunch of stuff fell on me, so I figured it was time for a little cleaning and reorganization. Honestly, it doesn’t take much to get started and to keep them organized and here are some easy tips to get you started on organizing those kitchen cupboards. Clean out the cabinets first. Before you decide to organize the kitchen cupboards, take the time to clean them out. This is the perfect time to get rid of all broken Tupperware out of the cabinets. If there’s something you don’t want to keep, then now is the time to throw it out. Take out all of the dishes. Freezer meals are a quick way to meal plan healthy dishes. The main idea is to freeze some of your meals for use at a later day. You can cook the meals ahead of time, freeze them, and heat it up at dinner time in an oven, on the stove, or even in a slow cooker. It saves you a lot of time and energy throughout the week, and it helps you stay on track with your healthy eating goals. Here are a few ideas for easy freezer meals for your family. It is important to note that there are two different ways of “freezer meals.” The first is by adding ingredients to a freezer bag and freezing. The second way is preparing the actual meal first (in the oven or on the stove) and freezing it. Both ways have their benefits, but the second way provides a way to slash prep time. You just simple defrost, heat up, and serve. April Fools Day is coming up quick guys and I am already planning out some awesome April Fools Food Pranks to play on my boys. Growing up, there was absolutely no pranking in parent’s house. They didn’t go for that sort of thing, so my sister, brother and I behaved. Then I met my husband, Christian, and he happens to come from a family full of pranksters. Christian knows I am not a fan, so they rarely get played on me, but my boys are a whole other story.